Pill Wizard®... No more spilled pills! The Pill Wizard® is a very clever and cost effective device which simplifies the whole dispensing process. 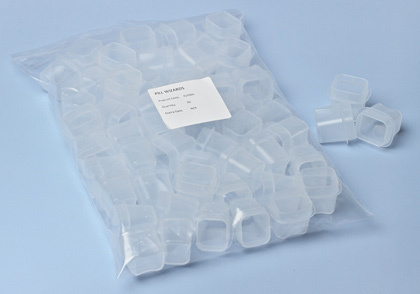 Designed for use with all sizes of Multi-Dose pack, simply remove the seal over any appropriate cavity, insert the Pill Wizard® into the cavity and invert the pack. 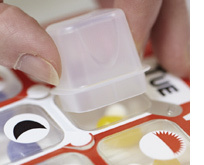 The medication falls into the Pill Wizard®, which can then be removed from the pack and offered to the patient.